This feature is in BETA testing. Your feedback and suggestions are appreciated. Once the user clicks the new Action button in ClientTouch, a message will be sent to the URL. 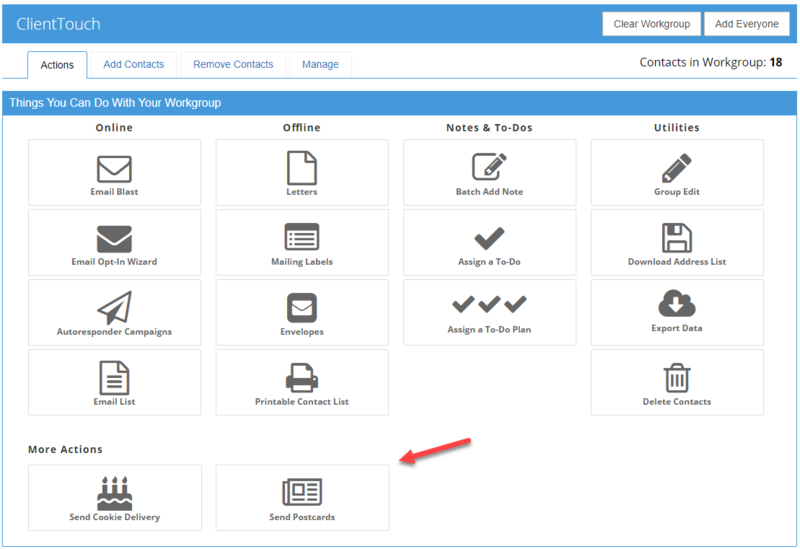 Once this message is received, your system then look up the contacts in the user’s ClientTouch Workgroup and proceed with processing your custom task. Configure your Custom ClientTouch Actions in your White Label Control Panel. Go to Content > ClientTouch Actions. Enabled – You can disable a ClientTouch Action when needed. When checked, the Action will be hidden from all users. Icon Class – Use can use a FontAwesome Icon (recommened) or use your own custom class from your own style sheet. When using FontAwesome, use the suggested format for the icons “fa fa-icon-name fa-4x”. This will match the existing icons in ClientTouch. Post URL – URL that JSON data will be posted to. Alternatively, if the “Redirect” checkbox is checked, the user will be redirected to the given URL with the same parameters entered in the URL query string. Show To Groups – You can have the option of displaying each Custom ClientTouch Action to All Group or you can choose specific groups that can see and use each action. Once a Custom ClientTouch Action is selected, the user is given a chance to review what will happen. If they continue, the results of the process are displayed to the end user. You configure the response text that shows up in the box below. Once you receive this data at your URL, you will then immediately perform a GetContacts API call for the user using AccountID, TeamMemberID, and the “ClientTouch” = “1” parameter. 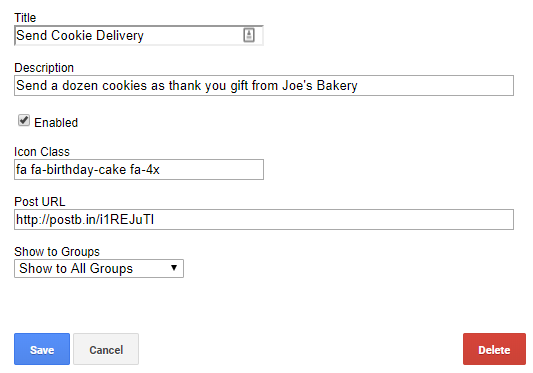 alternatively, you can redirect your users to a URL instead of posting the data to the URL. Check the “Redirect” checkbox. In this case, the same parameters above will be appended to the given URL. With this GetContacts data, you will then “do your magic” and automate your customer’s businesses! We can’t wait to see what you will do with these Custom ClientTouch Actions. As always, contact support if you have any questions.